I have been informed that uptake of family law arbitration has been 'very sluggish', since it was launched in February. Accordingly, in an attempt to kick-start the use of the process, virtually all IFLA accredited arbitrators are offering to take on 'appropriate cases' for a maximum fee of £1,500 plus disbursements, provided the arbitration is commenced before the end of October 2012. My understanding is that 'appropriate' means 'routine' cases, presumably where there is no unusual complication, or cases that do not involve substantial assets. Mike McCheap knows that he is hot property. Having graduated from Cambridge last year with a Law First and the Clifford Nochance Prize for Best Prospective Fee-Earner, and having just obtained a distinction in the LPC, all of the top law firms are vying for his services. Today he has an interview with Venal & Grabbit. He has already received a generous offer from their arch-rivals, Bills and Thieve LLP, and as he sits in V & G's reception area, he wonders whether he can use that offer to his pecuniary advantage. He grins at himself for already thinking like a good lawyer. At that moment a stern-looking middle-aged woman appears at the door. It is Brunhilde, Edgar Venal's formidable secretary. "Mr McCheap?" She asks, glaring at him severely. McCheap feels a sudden pang of nervousness. "Y-yes", he stammers. "Mr Venal will see you now." Edgar Venal glances down at the CV on his desk. He is impressed. What's more his spies have told him about the job offer from Bills and Thieve LLP. He knows he must employ McCheap at all costs. He shudders at the thought of offering an employee more than the minimum wage, but sometimes one has to sacrifice one's principles. After all, he is confident that McCheap will make a top family lawyer. More importantly, he will surely repay Venal & Grabbit handsomely, by bringing in a huge fee income. Impatient to get his man, Edgar decides to take the direct approach. "Have you received any other offers?" He asks McCheap, knowing full well the answer. "One or two." Replies McCheap carefully. "Any that you are particularly interested in?" McCheap hesitates. "Well," he says, "there is one..."
"We'll match it!" Interrupts Edgar. "Including company car?" Asks McCheap. "Including company car." Says Edgar, trying to keep a pained expression off his face. McCheap looks interested, but Edgar knows he will have to offer something more. He plays his trump card. "You've just got married, haven't you?" He asks, a hint of slyness in his voice. "That's right." Replies McCheap, wondering what was coming next. "Then you'll be wanting somewhere to live?" Asks Edgar, with more than a hint of slyness. "Oh yes!" Exclaims McCheap, looking very interested. Edgar knows he has got his man. He tells McCheap that he will include in his remuneration package a rent-free luxury flat at New Dilapidated House. What he doesn't tell McCheap is that the developer of New Dilapidated House is a client of Venal & Grabbit, and that V & G can get the flat in return for 'ensuring' that the client gets planning permission for their next building project, a new gated community on prime green belt land. McCheap accepts the job offer on the spot. Within days, he and his new wife Abigail are moving into their luxury flat. 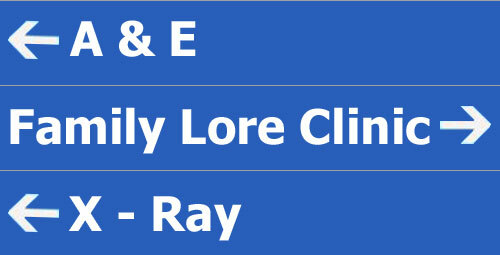 Family Lore Clinic: Why do I need a statement of information form for a consent order? When the parties agree a financial/property settlement on divorce, they should apply to the court for a 'consent order', setting out the terms of the settlement. This ensures, so far as possible, that the settlement is both final and enforceable. A consent order can usually be obtained through the post, without the necessity of an attendance at court. The parties will have to draft an agreed form of the order (normally a job for a lawyer) and send it to the court, together with a Statement of information form, setting out brief details of the parties' circumstances and means. The form is required because the court must ensure that the terms of the settlement are broadly reasonable, before it makes the order. The important point to note is that the court is not obliged to make the order simply because the parties agree to it. The court will not make the order unless it is satisfied that the terms are fair and reasonable, and it it needs the details on the form to check that this is the case. If the court is not satisfied, then it will either request further information from the parties, or it may require them to attend a hearing. Note that even if the court says that the order is unfair to one party and that party confirms that they are still agreeable to it, the court is still not obliged to make the order. If the order is not made then the settlement will not be final, meaning that either party may still seek a different settlement. London, 25th September 2012: Leading divorce lawyers Venal & Grabbit have today launched 'National Family Dispute Week'. The aim of National Family Dispute Week is to raise awareness of confrontational methods of resolving family breakdown. During the week, Venal & Grabbit will emphasise the benefits of divorce clients dealing with their matters through the courts and taking full advantage of such tactics as fraud, non-disclosure, intimidation and duress. 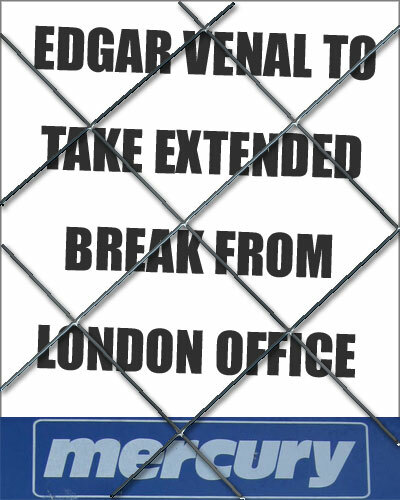 Senior Partner Edgar Venal said: "Forget about all that mediation, collaboration and arbitration nonsense. Real family lawyers have always known that the best way to resolve a family law matter is by a good old-fashioned fully-contested court case." Resolution launches Family Dispute Resolution Week by publishing the results of a survey into national attitudes to divorce and separation. Father who faces being restricted from seeing his daughter after unidentified woman made sexual abuse claims against him wins right to be told name of his accuser. Not entirely accurate, as it was not the father who appealed. The Re J case - see below. Full story: The Telegraph. Vitamin supplements in baby milk may have led an innocent couple being condemned for battering their newborn son, a top family judge has heard. Full story: The Telegraph. Cohabiting couples are for the first time as likely to have children as those who marry, according to a report on changing family relationships in the UK published on Thursday. Full story: The Guardian. A couple who squandered £1.7 million during a bitter divorce and custody battle were criticised by a judge for driving their marriage 'full tilt onto the rocks.' The Kavanagh case. Full story: The Telegraph. See also David Hodson's article on Family Law, below. The definition of domestic abuse has been widened so it covers forms of non-violent coercive behaviour and under-18s for the first time. Full story: BBC News. See also this news article on the Home Office website. Adopting and fostering will become a faster and more efficient process thanks to new arrangements for approving carers, Children’s and Families Minister Edward Timpson has announced.The consultation document to which he is referring can be found here. Appeal from dismissal of an application by trustees of pension funds to recover monies paid to the wife after an ancillary relief order, in circumstances where the husband had fraudulently appropriated the funds from the pension funds. Appeal allowed. Full report: Family Law Week. Appeal against dismissal of application for disclosure by local authority of details relating to allegations of sexual abuse against the father. Appeal allowed. Full report: Bailii. See also my post, and the post by suesspiciousminds, below. A legal right to gay marriage? Andrew Commins, barrister, associate member of St John’s Chambers in Bristol analyses the legal issues relating to the question of gay marriage. Full article: Family Law Week. "The English media have greatly relished this week reporting on a short leave to appeal hearing in a divorce financial case involving two practising lawyers." Says David Hodson on Family Law, referring to the Kavanagh case, mentioned in the Telegraph story, above. "Family law’s commercial and legal landscape is changing dramatically with the legal aid reforms, the continuing impact of the recession, competition from ABSs and potential legislative changes affecting everyone from the richest to the poorest." Says Grania Langdon-Down in the Law Society Gazette. Is there truly such a thing as an ‘anonymous’ referral? A discussion of Re J (A Child:Disclosure) 2012 (see above). Full post: suesspiciousminds. 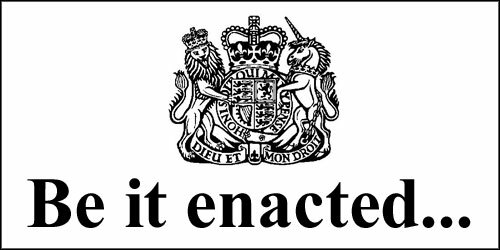 My turn to discuss Re J (A Child: Disclosure)  EWCA Civ 1204 (above), in this post. Getting involved with clients is not only unprofessional, it might put you in a difficult position when billing for your work, says Marilyn Stowe in this post. This week's summary of the top family law news stories and cases, in the usual short, easy-to-listen podcast. Despite this, over four-fifths of people (81%) believe that children end up being the main casualties of divorce, and 40% believe that divorces can never be without conflict – a figure that rises to nearly half (47%) of those who are currently divorced themselves. Despite the increasing availability of non-court alternatives, nearly half (45%) think that most divorces involve a visit to court. In stark contrast to some of the high-profile divorce cases in recent years, financial factors are not seen as particularly important, with only 1% saying that being financially better off than their partner would be the most important consideration should they divorce. The survey was conducted to mark Family Dispute Resolution Week, starting today and being held to raise awareness of non-confrontational methods of resolving family breakdown, such as mediation, collaborative law and arbitration. As part of the week, Resolution is launching a new advice guide, ’Separating Together: Your options for separation and divorce,’ designed to help separating couples understand and explore non-court based methods of resolving issues arising on the breakdown of a relationship. Jo Edwards, Vice Chair of Resolution, said: “These findings highlight how people have good intentions to prioritise the well-being of children and to avoid conflict during separation, but this can often be derailed by a lack of knowledge of non-court based options and an exposure to the adversarial nature of courts. Something is going very wrong, and often the result is emotionally and financially drained parents and deeply distressed children. The survey results come at an important time for family law in England and Wales. The most recent statistics show a rise in divorce rates; and the family courts are facing the strain. Resolution is an association of 6,500 family lawyers and professionals committed to taking conflict out of family disputes. Resolution members abide by a code of practice which encourages solutions based on the needs of the whole family, and particularly the best interests of children. David Ronald Norgrove was born on 23 January 1948 in Peckham, London. According to Wikipedia, he was educated at Christ's Hospital School and read Politics, Philosophy and Economics at Exeter College, Oxford. He gained a diploma in Economics at Cambridge University and then studied for a Masters in economics at The London School of Economics. He worked as an economist at the Treasury from 1972 to 1985 and was private secretary to Margaret Thatcher between 1985 and 1988. Between 1988 and 2004 he held several positions with Marks & Spencer (in January 2004 he was sacked from his role as director of clothing, following disastrous Christmas sales) and in March 2004 he was appointed to the Board of the British Museum. In 2005 he was appointed first chair of the Pensions Regulator, a post he held until 2010. 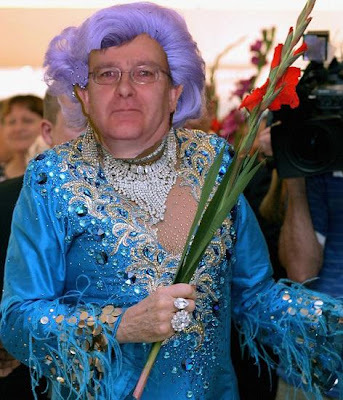 He was also appointed Chairman of the Low Pay Commission in 2009. In 2010 he was appointed Chair of the panel that would conduct the Family Justice Review ('FJR'). 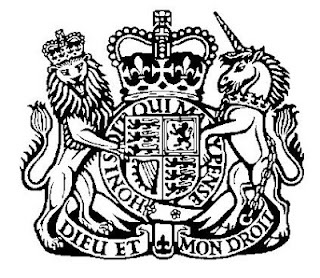 The rationale for appointing a man with apparently little or no relevant previous experience appears to be contained in the Ministry of Justice's biography of him: "As panel chair he will operate independently and objectively with no preconceptions about the way in which the family justice system currently operates." In other words, he was purposely chosen for his lack of connection with the family justice system. The Final Report of the FJR was published in November 2011. He received some criticism after the publication of the Report, including being described as "the man who hated children". His Wikipedia entry referred to above is also clearly biased against him: "However this economist has decided that fathers should not have equal rights to children." In July 2012 the Government appointed him as the Chair of the new Family Justice Board. He will oversee the Board which is a "key part" of the reforms announced in the Family Justice Review. "The Band of Gypsys performance is often lauded as Hendrix's finest, and is widely considered one of the finest electric guitar performances in the history of recorded music. The Band of Gypsys version of "Machine Gun" is roughly 12 minutes long. Hendrix's long guitar solos and percussive riffs combine with controlled feedback to simulate the sounds of a battlefield, such as helicopters, dropping bombs, explosions, machine guns, and the screams and cries of those wounded or grieving." Re J (A Child: Disclosure)  EWCA Civ 1204 concerned an appeal against the dismissal of an application for disclosure by the local authority of details relating to serious allegations of sexual abuse against the father. The background to the case was that the parents separated in 2002, when the child, A, was just six months old, and the father returned to his home country of Australia. He applied for contact and a final order was eventually made in February 2009 providing for A to stay with him for two weeks every February from 2010 onwards and for four weeks every summer. In March 2010 local authority social workers contacted the mother and informed her that a young person ('X') had made serious allegations of sexual abuse against the father, although no details of the allegations were disclosed. On the strength of this, the mother applied to vary the contact order by restricting the contact to shorter, supervised periods. The parents and A applied for an order requiring the local authority to disclose the identity of X and/or the details of her allegations to the court, the parents and the children's guardian. That application was dismissed by Mr Justice Peter Jackson (who had received from the local authority the documents in respect of which they sought to establish Public Interest Immunity), primarily because of the potentially serious effect of disclosure on X's health (X claimed to have been the victim of the abuse). 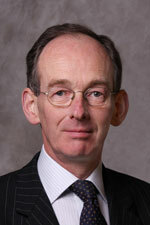 Giving the leading judgment, Lord Justice McFarlane in the Court of Appeal (which had also been supplied with the confidential material by the local authority) began by setting out the positions of the parties. Apart from the obvious positions of the guardian, the father and X, the mother (who had found out the identity of X, spoken to her and believed her allegations) did not support the appeal and the local authority adopted a neutral stance. "...in my view an outcome on the facts of this case whereby the key material has been read in full by the judge but is not to be disclosed to the parties, yet the same judge is going on to preside over the welfare determination is an untenable one in terms of justice being seen to be done." Accordingly, there were only two options: either the disclosure took place and the case was heard by the same judge or there was no disclosure and the case was heard by a different judge, who was "in a similar state of ignorance to that of the father". He then set out the legal context on Public Interest Immunity, in particular the words of Munby J (as he then was) in Re B (Disclosure to Other Parties)  2 FLR 1017, that the case for non-disclosure must be 'convincingly and compellingly demonstrated' and will only be sanctioned where 'the situation imperatively demands it', and the ECHR rights that were in play in relation to the issue of disclosure: under Articles 3 (prohibition of inhuman or degrading treatment - i.e. if X were required to give evidence), 6 (right to a fair trial) and 8 (right to privacy). He agreed with Peter Jackson J that in terms of characterisation of the impact upon X in terms of the ECHR, that the act of disclosure fell short of engaging Art 3 and did not amount to inhuman or degrading treatment (paragraph 79). With regard to A, however, the impact of her Art 3 rights upon the issue of disclosure was marginal, but such weight as it had pointed in favour of disclosure (paragraph 84). "...the balance that has to be struck must accord due respect to X's Art 8 rights on the one hand and the Art 6 and 8 rights of A and her parents, and the marginal impact of A's Art 3 rights, on the other." "If that balance favoured non-disclosure, I would in any event evaluate the importance of the undisclosed material as being central to the whole issue of contact and the life-long structure of the relationships within A's family. In fact, X's allegations represent the entirety of the 'issue' in the family proceedings. There is therefore a high priority to be put upon both parents having the opportunity to see and respond to this material." In the circumstances, he concluded (at paragraph 95) that the balance of rights came down in favour of the disclosure of X's identity and of the records of the substance of her sexual abuse allegations to the mother, the father and A's children's guardian. Lady Justice Hallett and Lord Justice Thorpe gave concurring judgments. 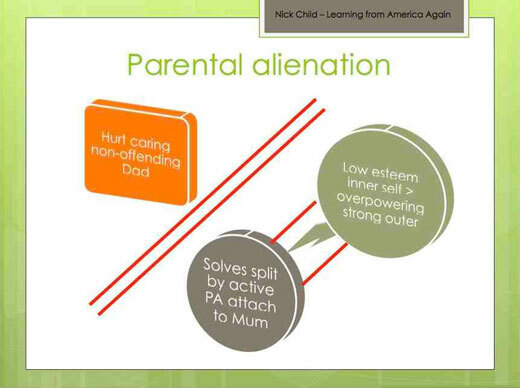 My thanks to long-time friend of this blog Rosemary Slessor for bringing my attention to what looks like a useful resource on the topic of children resisting contact and parental alienation. Prepared by retired Scottish child and family psychiatrist Nick Child, the guide is obviously written from the Scottish perspective, but I think will be very helpful to those involved in children disputes south of the border, particularly for its international reading list, complete with links. The guide may be found here (scroll down the page to the second item). SLAVER'S PLANTATION, Edgar Venal's villa on Mustique. The combined soporific effect of the sun and three mint juleps had sent Edgar off to sleep. His slumber didn't last long, however, as he was soon awoken again by a phone call. It is Bill Devastator, Head of Security at Venal & Grabbit. "Bill? What's the problem?" Asks Edgar, slightly concerned. He knows that Devastator would not disturb his vacation unless it was something serious. "We've got a problem, Mr Venal." Replies Devastator. "Oh?" Says Edgar, pouring himself another mint julep. "It's McCheap. I think he's going to blow the whistle to The Firm." Edgar takes a sip from his mint julep and ponders for a moment. Mike McCheap is Venal & Grabbit's newest Assistant Solicitor. A hot-shot young lawyer, Cambridge Law First, Legal Practice Course distinction, etc. Edgar had had big plans for him. He is disappointed. Why would McCheap go to The Firm? The Firm. The mere thought of them made Edgar shudder. 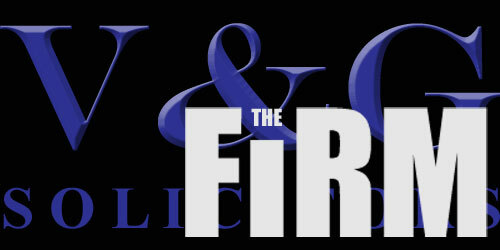 'The Firm' was the euphemism for Venal & Grabbit's most infamous clients, Ronnie & Reggie Molotov. Ronnie and Reggie were notorious gangsters, legendary for their savagery against anyone who double-crossed them. Reggie had once delighted in telling Edgar how he had tortured a former gang member who had said bad things about him on Twitter, by making him watch an entire series of The Apprentice. What neither Reggie or Ronnie knew, however, was that for years Venal & Grabbit had been overcharging them (along with all of their other clients). If McCheap told them, Edgar would likely become Reggie's next victim. Edgar took a longer swig from his mint julep. "Mr Venal?" Asks Devastator. "You still there?" "Yes Bill, I'm still here." Replies Edgar, taking an even longer swig. Edgar took another swig. "Take the appropriate action, Bill." He said, slurring slightly. "I'll be on the next plane back." "Understood, Mr Venal." Replies Devastator. "I'll make sure he never gets to them." "Good man." Says Edgar, ending the call. He looks down at his mint julep, and realises he has drunk it all. The Co-operative today (20 September) launched its Family Law operation, promising no nasty surprises when it comes to fees and that every customer will be treated with care and as an individual. The promises are contained in the Family Law Customer Charter which sets out the five customer focussed core standards that everyone using the service can expect. The promises include fixed fees, a commitment to help clients reach the best possible outcome for themselves and their family, to handle all cases with sensitivity and jargon-free communications to ensure ease of understanding. The Co-operative, which earlier this year became the first major consumer brand to be granted alternative business structure (ABS) status under the new Legal Services Act, will offer a comprehensive list of family law services which includes divorce, child protection, mediation and financial issues. It will provide a national service through a convenient telephone-based service, as well as an option to meet face to face, based initially in London with plans to expand to encompass five regional hubs across England and Wales. Martyn Wates, Deputy Group Chief Executive of The Co-operative Group, said: “As a trusted, ethical and approachable provider offering real value for money we intend to bring a refreshingly different approach to Family Law. “At a time of major changes in Legal Aid, we believe it’s vital to make it as easy as possible for people to gain access to justice. We are doing this by providing an innovative approach that will appeal to those who are currently reluctant to access family law services. “This move is a natural extension to the range of professional services we currently provide within The Co-operative which includes banking, pharmacy and Funeralcare. Our customers already receive market leading levels of service in these areas and our Legal Services business is following in the same vain. 1. No nasty surprises. We will provide a detailed, itemised quote before we start work. We provide a fixed fee service as standard, which won’t change later on. 2. To help you reach the best possible outcome for you and your family, with the least possible distress for everyone. 3. To treat you as an individual – we do not believe in a one size fits all approach and will work with you to find the solution which is right for you. 4. No jargon. We will take time to understand your needs and provide clear explanations so you completely understand what’s going on every step of the way. 5. To handle your case with sensitivity – our lawyers are experts in family law and have specialist training to ensure they can help you through whatever challenges you are facing. Being slightly pedantic, the first thing to say is that what used to be called applications for 'ancillary relief' are, of course, now applications for 'a financial remedy'. Joining, or to use the new terminology (again) 'adding' parties to proceedings for a financial remedy is not uncommon, as often there are other parties who have an interest in the outcome of the proceedings, usually because they have, or claim to have, an interest in the property involved. Typical third parties may be mortgagees, shareholders in a family company, or simply other family members. The court may add a party either on its own initiative or on the application of an existing party or a person or body who wishes to become a party. An application must be made in accordance with the Part 18 procedure on Form D11, supported by evidence setting out the proposed new party's interest in or connection with the proceedings. If the court makes a direction for the addition of a party, it may give consequential directions about (a) the service of a copy of the application form or other relevant documents on the new party; and (b) the management of the proceedings. 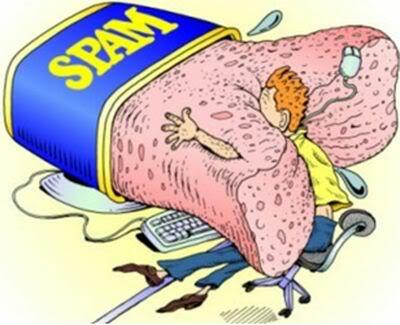 Is this the World's longest spam comment? "Hey! Keep it up! You have such a wonderful and informative page. Thank you for sharing your knowledge with this issue. I'll be looking forward to be visiting this site again and for your other posts as well to keep updated." "In most jurisdictions, a divorce must be certified (or ordered by a Judge) by a court of law to come into effect. The terms of the divorce are usually determined by the courts, though they may take into account prenuptial agreements or post-nuptial agreements, or simply ratify terms that the spouses may have agreed to privately (this is not true in the United States, where agreements related to the marriage typically have to be rendered in writing to be enforceable). In absence of agreement, a contested divorce may be stressful to the spouses. Contested divorces mean that one of several issues are required to be heard by a judge at trial level—this is more expensive, and the parties will have to pay for a lawyer's time and preparation. Less adversarial approaches to divorce settlements have recently emerged, such as mediation and collaborative divorce settlement, which negotiate mutually acceptable resolution to conflicts. This principle in the United States is called 'Alternative Dispute Resolution' and continues to gain popularity." "The attorneys at [X] & [Y] utilize an aggressive approach, consistent with each client’s goals and resources. [X] & [Y] also employs contract investigators, attorneys, and experts to provide additional assistance to clients on an as-needed basis. These highly skilled professionals allow [X] & [Y] to provide comprehensive and timely legal services at a fraction of the cost of a large law firm." You disappoint me, Mark. There was I thinking that you had come on to my blog simply to tell me how great it was and to give me some (albeit unasked-for) advice about divorcing in the United States, and then it turns out that you're actually plugging some law firm! And why does it come as no surprise that they are a firm that "utilize an aggressive approach"? It seems there is no end to the ingenuity of people wanting to fleece help those going through a divorce. 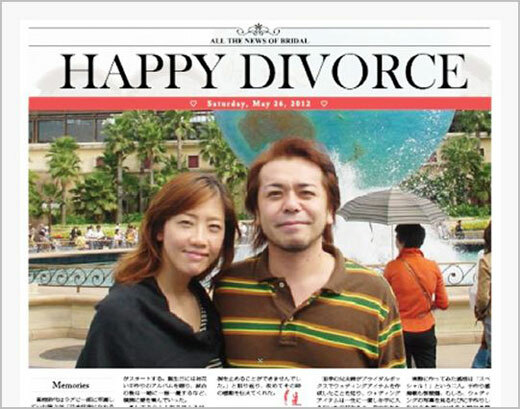 Japanese 'divorce guru' Hiroki Terai has devised 'Divorce Newspapers' "as a quick and painless way to let family, friends and acquaintances know your marriage is over". When divorcing couples sign up, they are interviewed about their marriage and give whatever details they want included. 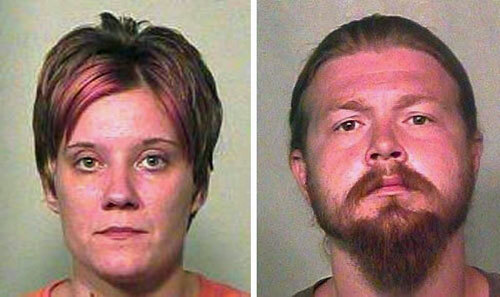 The information is compiled into the newspaper, which is then delivered to whoever the couple specify. Prices start at just ¥11,220 (about £88), but divorcees get 50% off if they agree to include an advert for Terai’s 'divorce ceremonies'. 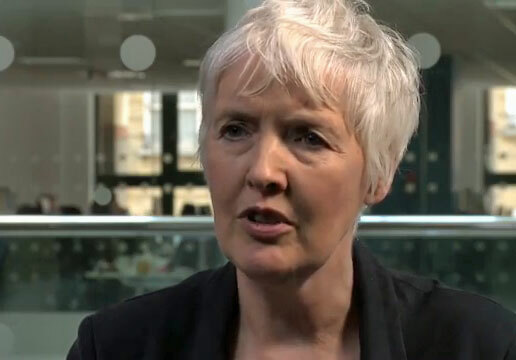 I will begin this series of posts giving short biographies of some of those involved in the making of new family law with an obvious choice: the author of the review of child protection that carries her name, Professor Eileen Munro, CBE. Eileen Margaret Munro was born on the 21st of October 1950 in Cirencester, Gloucestershire. She originally qualified as a social worker, a job she practised for a number of years, before pursuing an academic career. She studied philosophy and completed her PhD in The role of scientific methods in social work. She has published books on child protection (including Effective Child Protection (2008)) and numerous articles in professional journals. A study of child abuse inquiries that she undertook was taken up by child protection services in several countries. She is currently Professor of Social Policy at the London School of Economics. In June 2010 the Secretary of State for Education, Michael Gove, and Children and Families Minister Tim Loughton, asked Professor Munro to conduct an independent review to improve child protection. Her Final Report was published in May 2011 and contained fifteen recommendations, most of which were subsequently accepted by the Government. In February 2012 Professor Munro took up the role of Transitional Chair for the College of Social Work’s Children’s Faculty. Professor Munro has considerable media experience, in both television and radio. She received a CBE in the New Year's Honours 2012, for services to children and families. Men who emotionally abuse their partners by controlling their finances, preventing them from seeing friends or verbally abusing them could soon be prosecuted under domestic violence laws, it has been claimed. Full story: The Telegraph. Complaint about family law department triggers compensation award. Full story: Solicitors Journal. The list of Legal Ombudsman decisions regarding complaints against lawyers may be found here. A fertility treatment which eliminates hereditary disease by engineering babies to carry healthy DNA from a third biological parent could be legalised next year. Full story: The Telegraph. Brides-to-be should heed their nagging doubts, a new study shows, as nearly one in five women with cold feet before their wedding are divorced four years later. Full story: The Telegraph. The latest figures from Cafcass show care demand remaining at a very high level. Full story: Family Law Week. Looked-after children are being let down by a lack of independent advocacy services, which means they miss out on the chance to air their views, a report by The Children’s Society has warned. Full story: Children & Young People Now. The Guardian hears mixed responses from lawyers to the Law Commission consultation paper on dividing up marital assets on divorce. 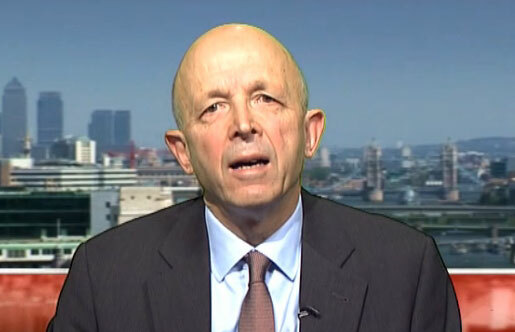 For example, Richard Collins at Charles Russell says: "Whilst it has to be better for divorcing couples to have clarity and accessibility to the law, it is doubtful whether a one size fits all approach is fairer than the current situation where a judge exercises a wide discretion to provide a tailor made solution". 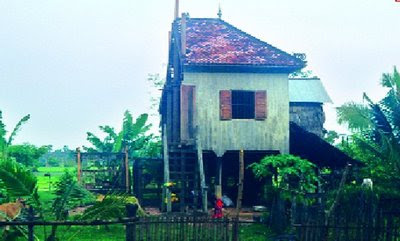 Application for permission to appeal against order that the parties are beneficially entitled to an equal half share in the property which they occupied as an unmarried couple. Permission granted, but only in respect of issue of occupation rent. Full report: Family Law Week. Application by father for return to Sweden of two children. Application refused, on the basis of the father's consent to the removal and/or retention to this country. Full report: Bailii. 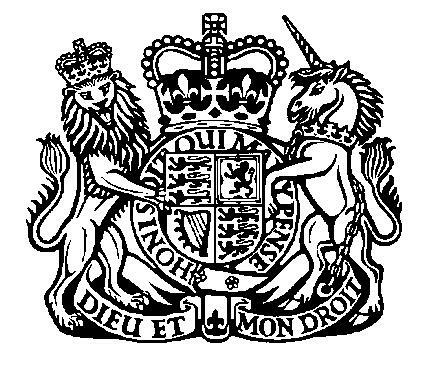 "On Tuesday, 11 September 2012, the English Law Commission produced a consultation paper likely to lead to fundamental reform of financial outcomes on divorce in England and Wales. But although directed to English law in English courts with legislation from the UK Parliament, it has huge significance for family law worldwide. In our separate sovereign jurisdictions, we are no longer islands." So says David Hodson in Family Law. Fact Finding Hearings: Who Pays? Stuart Hughes, Senior Solicitor at Greene and Greene Solicitors, and Sabuhi Chaudhry, barrister at Coram Chambers, consider recent developments concerning costs in fact finding hearings and the divergence between private law and public law cases. Full article: Family Law Week. Charlotte Rachael Proudman, barrister, provides an overview of the Government’s proposed changes to the law intended to combat forced marriage. Full article: Family Law Week. Can you unmake a family? Duncan Ranton examines the recent surrogacy case G -v- G. Full article: Family Law. "The introduction of a formula to bring consistency to how divorce cases are handled in the English courts could mean some of the ability for judges to base rulings on the individual circumstances of each case are lost." Says Alison Hawes in Family Law. "I was kindly sent Dr Peter Dale’s response to the Government consultation on contact with children in care, and sibling placement in adoption." Full post: suesspiciousminds. This week's summary of the top family law news stories, in the usual short, easy-to-listen podcast. Law Makers: Who makes family law in this country? Looking at the Matrimonial Property, Needs and Agreements consultation this week got me thinking: who makes family law in this country? With the consultation following hard on the heels of other initiatives for reform, including the Munro Review and the Family Justice Review, greater change is happening to family law in this country than for many a year, but who exactly is behind that change? I don't mean the politicians, but rather the people responsible for putting new law together: the judges, the legal advisers and the academics involved in the process. They may not have the final say on new law, but they do have a significant influence upon the outcome: promoting some proposals, encouraging the discarding of others and perhaps even coming up with new proposals themselves. Accordingly, I thought it might be interesting to know who these people are, so I have decided to write an occasional series of posts entitled Law Makers, in which I will give short biographies of some of those who are or have been involved in the recent reform initiatives. I hope to publish the first post in the series in the next few days. Family Lore Clinic: When will a grandparent be given a contact order? Quite simply, when the court considers that it would be in the best interests of the child. To give a little more detail, if a grandparent wants to apply for a contact order, then they must first seek the leave (or permission) of the court to do so. This will be granted in most cases. (g) the range of powers available to the court, e.g. whether it would be more appropriate to make some other order. What does all of this mean in practice? In short, the court will in most cases take the view that contact with his or her grandparents is in the child's best interests. Accordingly, a contact order will usually be made, unless there is a good reason why it should not, such as the implacable opposition of an older child. However, a grandparent cannot normally expect to have as much contact as a parent. Thus, a typical contact order might only specify that contact should take place once a month, although there are no hard and fast rules - the type and frequency of contact again depends upon what is best for that particular child. Following its 2012 consultation on marital property agreements, the Law Commission has opened a supplementary consultation on needs and non-matrimonial property. About time they sorted out the mess of case law since the MCA! The Law Commission has produced a video and podcast, which can be watched and listened to on my post, below this one. The Law Society Gazette reports that: "MPs, judges and expert practitioners yesterday condemned the government’s planned legal aid cuts and family justice reforms, warning that the fiscal imperative driving them will harm children." For example, Plaid Cymru MP and barrister Elfyn Llwyd told a seminar on the future of family justice that the Legal Aid, Sentencing and Punishment of Offenders Act is "likely to be detrimental to families, detrimental to access to justice and probably contrary to article 6 rights and others which come into play when a fair trial of issues is not afforded" and that mediation, the government’s proposed solution to problems, is not a silver bullet and will not work for the vast majority of cases. Strong stuff. See also the Law Society's response to the shared parenting consultation, referred to below. "A pilot scheme known as Clare's Law, which gives women the ''right to know'' if a partner has a history of domestic violence, begins today." (In fact, the pilot has been running since July, and is just being extended.) Full story: The Telegraph. "An unfaithful millionaire Muslim businessman believes his estranged wife does not deserve a divorce payout, because polygamy is allowed under Sharia Law, a British court heard today." Full story: The Telegraph. Judgment on the issue of reporting restrictions in financial remedy proceedings (apparently the first such case). Order made prohibiting disclosure of any information in respect of the proceedings, save for specified matters. Full report: Family Law Week. Case in which the claimant father claimed that there is a constructive trust affecting all property held in the name of his son the first defendant, arising from the Hindu Joint Family System and the principles of Mitakshara. Full report: Family Law Week. "Although for years, even decades, it has been countries such as Australia which have led the way in developments in family law and practice, that role is now also being increasingly adopted by new, developing jurisdictions." Says David Hodson on Family Law. "Mikiko Otani, one of Japan's leading family lawyers, has today, 7 September, 2012, confirmed to the IAML annual conference in Singapore that Japan will not be signing the Hague child abduction Convention in the near future, at least a year as a minimum." More from David Hodson on Family Law. Anna Heenan, solicitor and David Salter, Joint Head of Family Law at Mills & Reeve LLP analyse July’s financial remedies and divorce news and cases. Full article: Family Law Week. How often has it been said that delay is the cancer which eats away at our system of justice? An article by District Judge Christopher Vokes in the Law Society Gazette. Alex Verdan QC of 4 Paper Buildings considers those judgments of the last few months which are of most importance in the area of private law children proceedings. Full article: Family Law Week. Further to my earlier post announcing the publication of draft legislation introducing changes to the operation of the family justice system as recommended by the Family Justice Review, I make a few comments upon the private law provisions. Lucy Reed's response to the shared parenting consultation. Full post: Pink Tape. The Government have published their proposed legislation to bring about the Family Justice Review. Suesspiciousminds looks at the public law provisions. 1. Compensation for needs generated by the relationship. 2. Support to enable a transition to independence. 3. Support for a limited time so as to create incentives for independence. The paper goes on to ask whether financial support should continue to be determined by the court, at the judge’s discretion, or whether it should be calculated by reference to a formula. (4) whether non-matrimonial property can ever become matrimonial, either by the passage of time or because it has been sold and replaced or has appreciated in value as a result of investment or management by either party. ... a shorter executive summary, a comprehensive summary, and a "more technical summary for lawyers". The consultation paper itself is here. The consultation closes on the 11th December, and consultees may if they wish respond using this template. 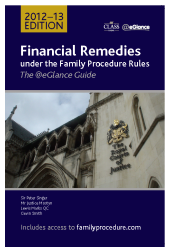 Financial Remedies under the Family Procedure Rules was first published last year and is intended to be "the authoritative guide to financial applications under the Family Procedure Rules 2010". It essentially comprises a commentary on those parts of the Rules that are relevant to financial remedy cases, the full text of those parts and the associated Practice Directions. Full tables of cases and statutes - remedying an omission I mentioned in my previous review (there are also tables for Judicial Practice Directions and Guidance, Statutory Instruments and European and International Material). Once again, purchasers of the book will also have access to the associated website www.familyprocedure.com, where they will find a regularly updated version of the commentary, as well as handy links to authorities and other sources cited in the text. In their blurb on the book's back cover, the publishers describe it as the new 'Blue Book'. Whether it will attain such a status amongst practitioners (or indeed whether it already has), I cannot say, but I can certainly recommend it once again as an extremely useful handbook for any family lawyer dealing with this kind of work. UPDATE: I now understand that there will be a Kindle edition - see the comment below. 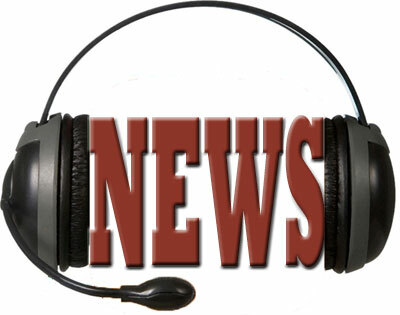 A summary of the top family law news stories and cases from the last week, in the usual short, easy-to-listen podcast (OK, it's not quite so short this week). Family Lore Clinic: Is a consent order final? The term 'consent order' can refer to any court order made with the agreement of the parties, but in the family law context it usually refers to the order setting out the agreed financial/property settlement on divorce. This post will assume that this is what the term refers to. The simple answer to the question is yes, a consent order is intended to be final. Whether the financial/property settlement is agreed or decided by the court, there will (or should) be a final order, which is meant to put an end to the matter. Firstly, the order may include provision for maintenance, which can be varied (or even capitalised) by the court at a later date, upon the application of either party. Where, shortly after the order was made, there has been a new event which invalidates the basis upon which the order was made, such as the death or unexpected remarriage of one of the parties. In any event, my original point should be remembered: a consent order is intended to be final. The court will not therefore alter it or set it aside unless there is a good reason to do so. Further to my post on Monday announcing the publication of draft legislation introducing changes to the operation of the family justice system as recommended by the Family Justice Review, I thought I would make a few comments upon the private law provisions (not having done any public law work for many years, I don't feel qualified to comment upon the public law provisions - in any case, suesspiciousminds has done that already). Since the 6th of April 2011 anyone contemplating applying for an order in 'relevant family proceedings', has been required by Practice Direction 3A to attend a 'Mediation Information and Assessment Meeting’ ('MIAM'), subject to the exceptions set out in Annex C to the PD. "Relevant family proceedings" is defined in Annex B. I find it somewhat odd that this 'pre-application protocol' only got mentioned in a footnote in the Family Justice Review Final Report, which recommended that: "Attendance at a Mediation Information and Assessment Meeting and Separated Parent Information Programme should be required of anyone wishing to make a court application." "Before making a relevant family application, a person must attend a family mediation information and assessment meeting." "Relevant family application" is defined by Clause 1(4) as "a family application of a description specified in Family Procedure Rules", which pretty well takes us back to PD 3A. In short, this provision does not seem to me to add anything to the PD (although I would be happy to be corrected upon this). (b) when a child is to live, spend time or otherwise have contact with any person". Notice that the word "contact" is still used, but the word "residence" is not. The rationale for the new order was to "focus all discussions on resolving issues related to [the child's] care, rather than on labels such as residence and contact" (see FJR Final Report, para 4.60). Hopefully, this might reduce conflict between parents, but I can't see it making much difference to the arrangements that will be ordered by the courts, which I anticipate will be very similar to present residence and contact orders. S.41 (and its Civil Partnership equivalent, s.63 of the Civil Partnership Act 2004) are repealed by Clause 7(1). Any dispute about the arrangements for a child resulting from divorce, dissolution etc. will in future be dealt with by way of a free-standing application to the court under the Children Act. This provision is part of the drive to simplify the procedure for uncontested divorces, and to be welcomed - in most cases a s.41 certificate is little more than a 'rubber stamp job' in any event.